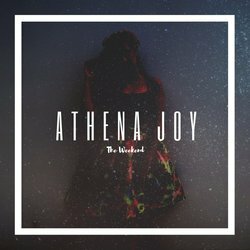 Angelic vocals and immersive, vulnerable lyrics combine to create Athena Joy's heartfelt sound. At 23 years of age this Gold Coast artist, captivates with a subtle pop tone and an emotional, moody edge. Her debut EP made waves earlier this year through stellar online reviews and premieres from online blogs such as Pilerats, Happy Mag and Plastic Mag in the UK, as well as receiving radio play from indie music lovers at 4ZZZ, triple J Unearthed as well as numerous online and college radio stations. This in combination with a Queensland Music Award nomination for the title track "Blue" in 2016 as well as a showcase in this years Bleach* festival, has set the bench mark of whats to come for this up and coming artist. "The Weekend" captures a darker side to life in your early 20s in a sonically diverse and heartfelt track. Inspired by the pressure put on 20-somethings to have life figured out whilst working hard on their dreams, "The Weekend" begs the question "Is this really as good as life gets?"